Creamy, luxurious and made in One skillet! 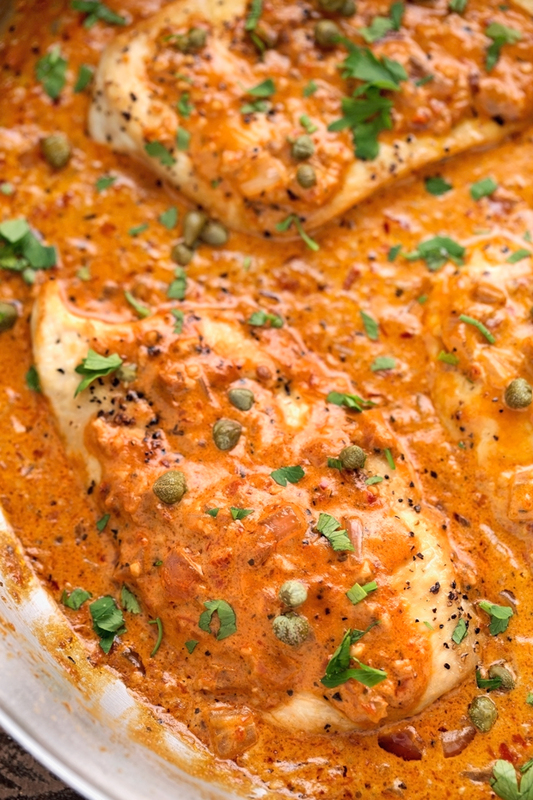 This skillet chicken is topped with a super creamy tomato basil cream sauce. Make it with chicken breasts or chicken thighs, you just can’t go wrong! Okay, yeah so that’s not really a thing but shouldn’t it be? Who doesn’t love cooking a one skillet chicken dinner that takes about 30 minutes from start to finish in the middle of the work week when you’re already burnt out and there is no end in sight. I’m going bonkers for todays meal. If you haven’t caught it already, it’s another easy twist on my one skillet chicken with lemon garlic cream sauce. Because everyone needs more than one chicken dinner in their arsenal. 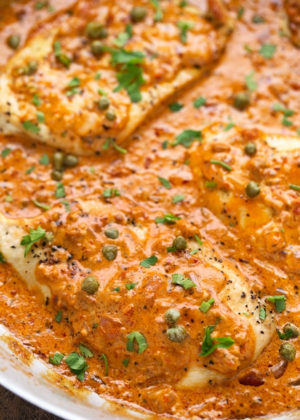 And just like the last recipe, this one can be made with boneless chicken breasts or thighs. Is it me, or am I 2 for 2 with this recipe? Just like the last skillet chicken recipe, we’re making it all in one pan. Which alone would make this a ???????????????????? recipe. But also: sun dried tomato basil pesto. Gah! And add in that touch of cream, your tongue is going to thank me. And so will your family. The ingredients for my one skillet chicken dinner are simple. You may or may not have heard/used sun-dried tomato pesto before, but I assure you, it’s nothing to be scared of! You can find an easy recipe to make it here  or just purchase it premade, in a jar. It’s usually next to where they keep the basil pesto in stores. Either will do the trick. And if you’re wondering what to do with all that left over pesto, try this ! Everyone that’s tried it, loved it. Other than that, you’re using a little red onions (or shallots), garlic, butter, cream, parsley, and chicken stock. And just like the last one skillet dinner, you can serve this tomato basil cream chicken over a bed of angel hair pasta. I’m seeing lots of hugs, kisses, and high-fives in your future. 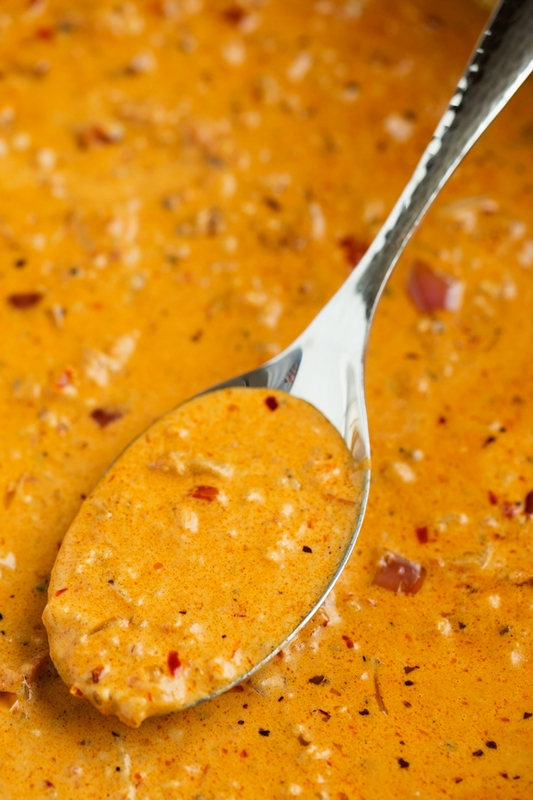 Just look at the smooth consistency on that tomato basil cream sauce! ???????????? I apologize for the excessive emojis, but you’ll totally understand why they’re necessary when you make this for yourself. Remember how scared I was to add heavy cream to a sauce that contained lemon last time? HA! Well it wasn’t much better this time because of the sun-dried tomato pesto. The fear of broken cream sauce made me feel like I had icicles in my stomach. But now, I laugh in the face of cream sauces everywhere. The trick to get this sauce perfect is to not let it boil once you’ve added the cream. It will come out beautifully every single time if you just DON’T LET IT COME TO BOIL. 3 for 3. Are you keeping score? I added the chicken back into the skillet once the sauce was done, and after begging y’all to add some capers up in here to this skillet chicken dinner, I decided i’d be the first one to do it. And Oh mah gee. Yes, yes, a thousand and one times! 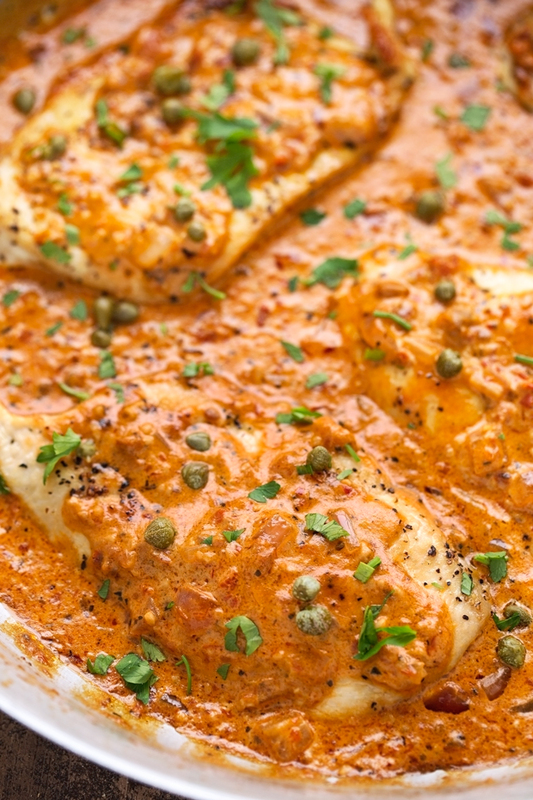 Make yourself a little happy happy tonight with this tomato basil cream sauce smothered one skillet chicken dinner. In a 2 cup measuring cup or a small bowl, combine the chicken broth, pesto, garlic, and red pepper flakes. Stir to combine until the pesto is more or less dissolved. Heat the olive oil in a large oven-safe skillet over medium high heat. Add the chicken and allow to brown on both sides of 2-3 minutes per side. Don’t worry if the chicken isn’t cooked completely, we’ll finish it in the oven. Remove the chicken to a plate. Reduce the flame to medium, add the onions to the skillet and allow the onions to cook for 1 minute before adding in the chicken broth mixture. Using a whisk, scrape the bottom of the pan so all the brown bits are loosened. Let sauce reduce for about 8-10 minutes or until until about ⅓ of the sauce remains. When the sauce has thickened, remove from the flame, add the butter and whisk until it melts completely. With the skillet off the flame, add the heavy cream, whisk to combine. Place the skillet back of over the flame for just 30 seconds. DO NOT allow the sauce to boil. Remove from heat, add the chicken back into the pan and drizzle the sauce over the chicken. Add the capers. Place the skillet in the oven for 5-8 minutes or until the chicken is completely cooked through. Top with chopped parsley or basil and serve warm. 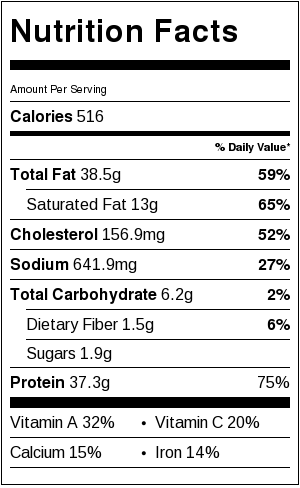 For best results, use boneless skinless chicken breasts/thighs that about the same thickness. I pounded mine down to about ½ inch so they would all cook evenly. Thicker chicken breasts may require additional cooking time. LOVE THIS RECIPE? KEEP IN TOUCH AND DON’T MISS OUT ON ANY OF LITTLE SPICE JARS RECIPES! FOLLOW ME ON INSTAGRAM , PINTEREST , FACEBOOK , TWITTER , BLOGLOVIN’ , AND TUMBLR .